Delicious, warm soup for the heart and soul, this is an everyday meal that is often eaten by someone feeling ill similar to the way chicken soup might be used in America. 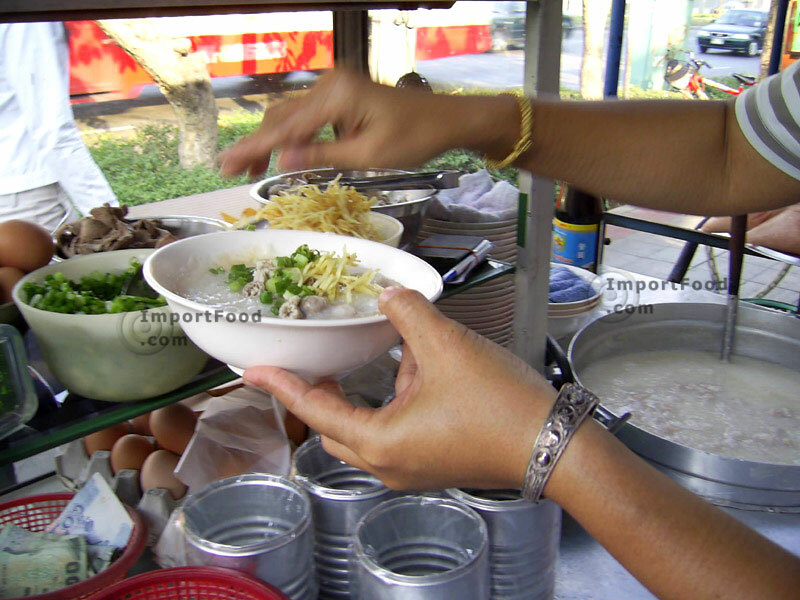 In Thailand you can always find a street vendor offering congee, known in Thai as "Joke" (taken from Cantonese language), early in the morning. 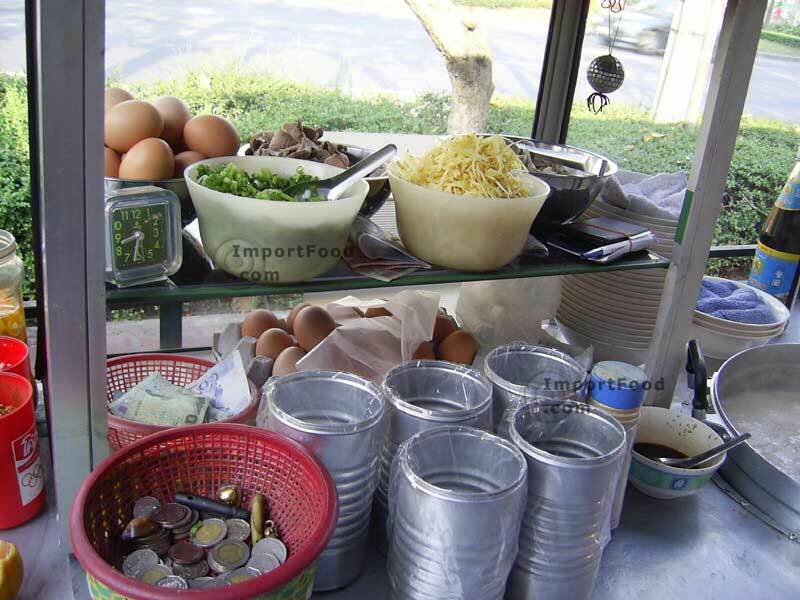 This is often accompanied with Thai donuts. 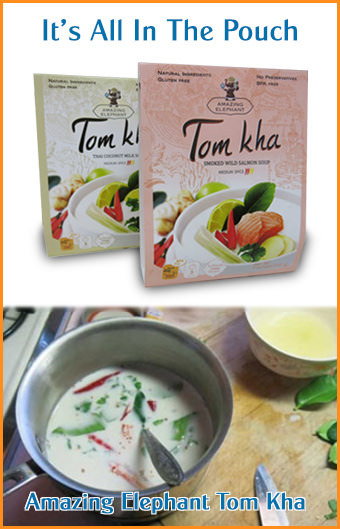 A similar recipe is khao tom which is not as thick as joke. 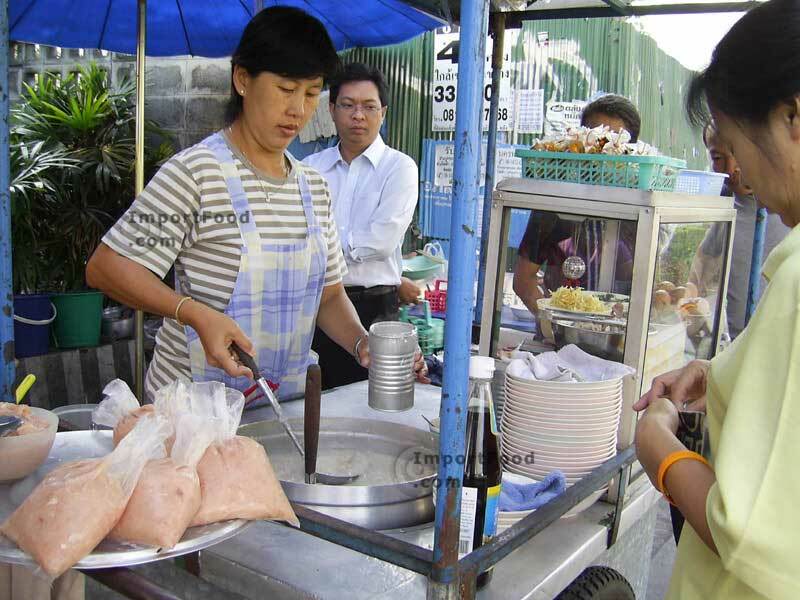 Enjoy the pictures below as you can see a vendor making Joke the traditional way. Simple and delicious, and not only nutritious but also easy to eat so it's a fine remedy for someone feeling ill.
For soup stock, heat the water in a large pot. Add pork. Cut the onion in half and add to stock. Add cabbage. Slice daikon and add. Add sugar, peppercorn, garlic, corriander seed, salt, and buillion. Bring to a boil over high heat, then lower heat and let it boil mildly for 20 minutes. Reduce heat and let simmer for another hour or so. 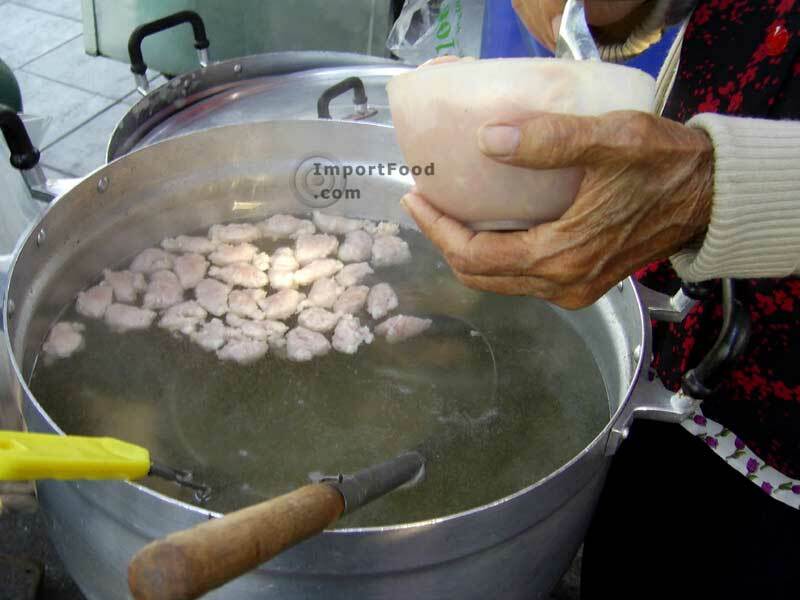 For pork balls, in a mixing bowl, add all ingredients into a large bowl and knead together. Form into little balls (just 1/2 inch in diameter, approximately) and set aside. Keep it in the fridge if you prefer. 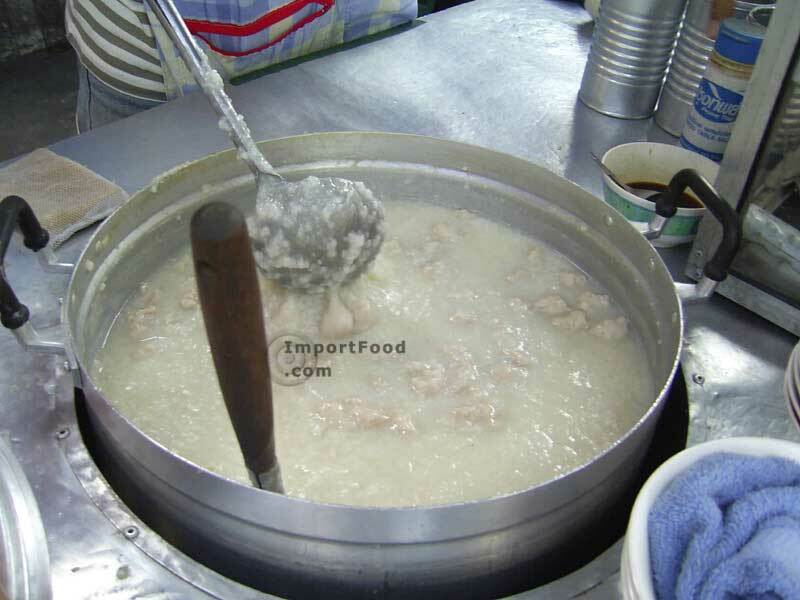 To prepare the broken rice, put 5 cups of water in a pot and bring it to a boil. Add broken rice to the boiling water. Stir it well, and keep stirring it often. Reduce to simmer. After about 10 minutes, add more water. Add 1 cup at a time, every 10 minutes or so. After you've added 5 cups of water, the rice will be nice and mushy. Keep stirring and adding water to get the consistency of your preference. 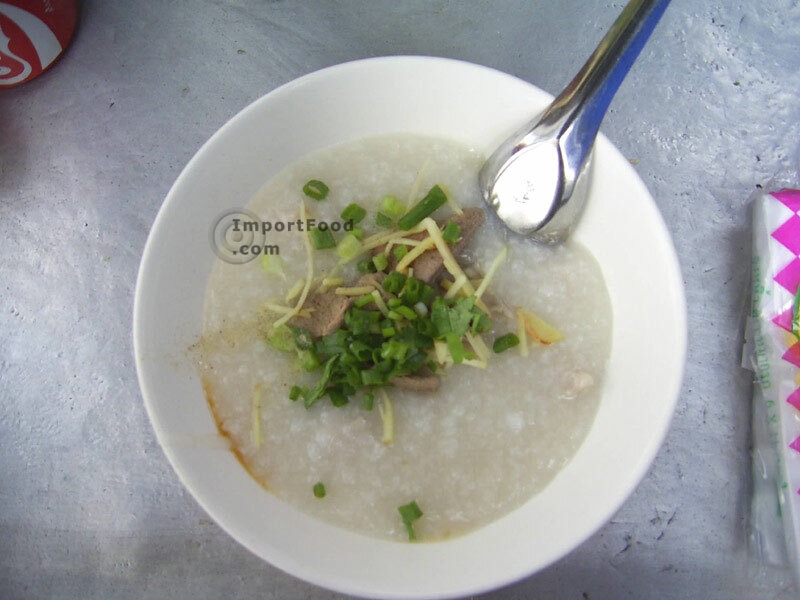 Now it's time to make your congee. Ladle 1 scoop of cooked rice into a new, clean pot. Next, pour the desired amount of soup stock over the rice (about enough to cover the rice, or more if you prefer a more soupy style). Put this over medium heat, and add a few pork balls. Cook this for a few minutes until the pork is cooked. Now it's finally done! Transfer to a serving bowl. Top with fried garlic (we made our own, see picture below), cilantro, ginger strips, and sprinkle with Thai pepper powder. Add a touch of dried ground chile at the end for added flavor (Thai style). Many people add a half-cooked egg also. Serve hot and enjoy! 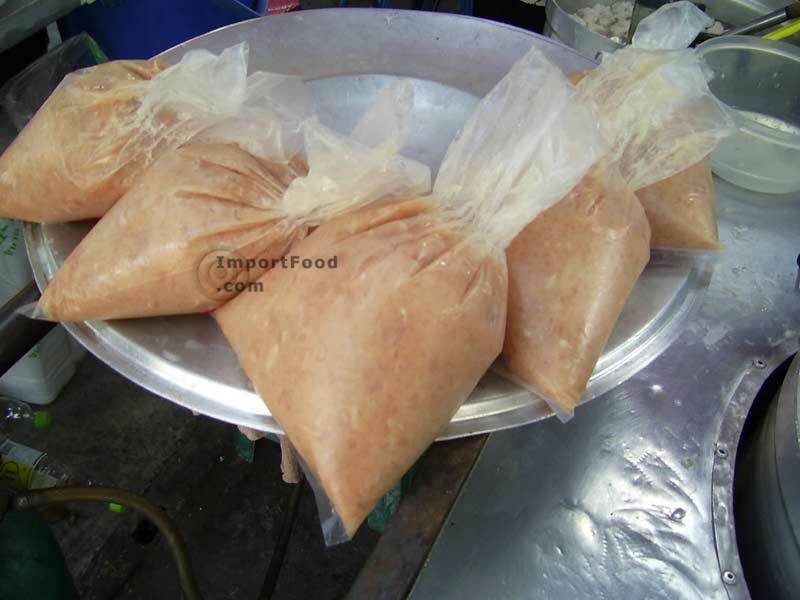 See our Mama brand instant porridge.